Will Holt Renfrew be de-throned as North America's most productive department store? Holt Renfrew recently installed magenta coloured awnings to its flagship store at 50 Bloor St. W. in Toronto. Photo: Holt Renfrew, via Twitter. Luxurious American retailer Neiman Marcus trails Holt Renfrew's productivity, with annual per square foot sales of US $575. Holt Renfrew will have to fight to maintain its status as North America's most productive department store. With per square foot annual sales exceeding $1,000, Holt Renfrew far surpasses productivity at Neiman Marcus, Saks Fifth Avenue and Nordstrom. However, competition will increase for Holt Renfrew as Saks Fifth Avenue and Nordstrom both open in Canada, and online shopping becomes commonplace. An unintended consequence could be an over-saturation of Canadian luxury retail, to be explained below. Sources estimate Holt Renfrew's yearly sales to be in excess of $800 million. Its fleet of nine stores span a total of almost 800,000 square feet, according to our calculations from various sources. Holt Renfrew plans to expand its store footprint substantially, occupying in excess of 1.1 million square feet by 2017. Its North American peers sell substantially less. Neiman Marcus, North America's second most productive department store, sells an estimated US $575 per square foot annually. Nordstrom is next, selling $470 per square foot, while Saks Fifth Avenue's sales estimates are $437. By 2017, Montreal's Ogilvy store will expand to 220,000 sq ft., becoming a combined Ogilvy/Holt's. Holt Renfrew will close its current Montreal store as a result. Rendering: City of Montreal. Holt Renfrew's store space is expanding rapidly. Its Toronto Bloor Street flagship, measuring over 180,000 square feet, will expand to over 200,000 square feet by the end of 2016. The combined Ogilvy/Holt's in Montreal will measure 220,000 square feet by 2017, resulting in the closing of Holt's 84,000 square foot Montreal store. Sources say that Holt's Vancouver store, currently 140,000 square feet, will expand by as much as 40,000 square feet by 2016. As early as next year, Calgary's 121,000 square foot store could see the addition of a 25,500 square foot fourth floor. In the spring of 2016, a 120,000 square foot flagship will open at Mississauga's Square One. A replacement Edmonton location is rumoured, while the future of Holt Renfrew's Sherway Gardens store remains unclear. As Canadian luxury retail expands, affluent Canadians are more likely to shop at home. Some of the nation's wealthy currently prefer to shop abroad. Holt Renfrew wants to change this, upgrading its stores and adding about 40% to its existing store space. Productivity will likely suffer as a result, given that the Canadian market is unlikely to grow at the same rate. Substantial new retail space for Saks and Nordstrom could see Holt's sales productivity reduced substantially. Holt Renfrew will soon be contending with fierce competition. Saks Fifth Avenue will open as many as eight Canadian stores, and has already announced its first two locations. In 2016, a 150,000 square foot Saks flagship will open within the Hudson's Bay building at the Toronto Eaton Centre, while a 132,000 square foot Saks will open at Sherway Gardens. A third Toronto Saks location, as well as stores in Vancouver, Montreal and Calgary, are expected to follow. Given the expected size of Saks Fifth Avenue's Canadian stores, Canada could eventually see between 800,000 and over 1 million square feet devoted to Saks. Nordstrom, for its part, has already announced six Canadian store locations, totalling approximately 1,067,000 square feet. As many as four more stores could be announced, adding substantially more space to Canada's increasingly crowded upscale department store market. It will be interesting to watch Holt Renfrew's strategy vis-a-vis the new competition. 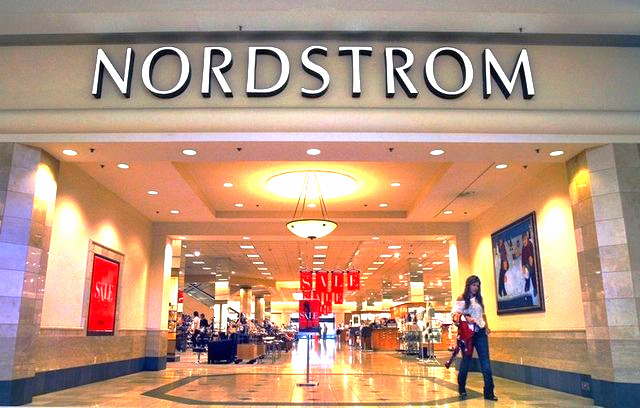 Saks and Nordstrom both anticipate strong Canadian online sales. At the same time, Holt Renfrew is expanding its own online offerings. Website sales aside, it will be interesting to watch as Canada's upscale department store market grows from its current 800,000 square feet to more than triple that size within the next three years. Fallout is likely, and market saturation is possible, as Canada could soon exceed the United States in terms of upscale department store retail space per capita.